I've started writing this two or three times. I keep getting stuck and then bogged down. I think my problem is that I'm confused about whether this is about Nora Ephron or me. 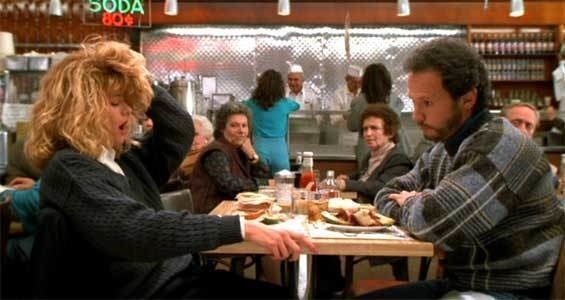 I watched the recent Nora Ephron documentary Everything is Copy. Nora was an essayist, columnist, novelist, movie director and screenwriter (When Harry Met Sally, Sleepless in Seattle, You've Got Mail, Julie & Julia, Heartburn, Silkwood. . .). Her writing took her into the glamourous worlds of Esquire, The New Yorker and Hollywood — not to mention the worlds of "Tom Hanks, Rita Wilson, Steven Spielberg, Gay Talese, Rosie O’Donnell, Meg Ryan, Mike Nichols, and on and on. 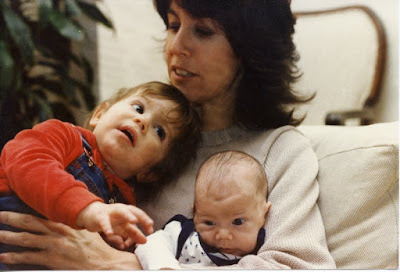 . .", all of whom show up in the documentary which was made by her son, Jacob Bernstein. Jacob is Nora's son with journalist Carl Bernstein. 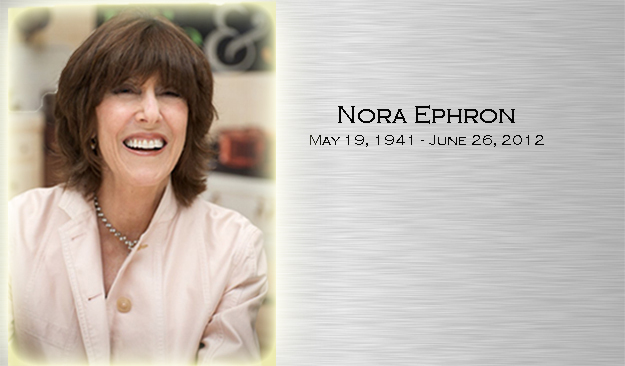 Nora died in 2012 at the age of 71. Both Nora's parents were screenwriters and they both drank too much. It was her mother – who died of cirrhosis – whose lifelong slogan was "everything is copy!" When you slip on a banana peel, her mother said, people laugh at you. But when you tell people you slipped on a banana peel, it becomes your joke. "You tell the story," Nora's Mom said, "so it doesn't tell you." Nora took her mother's advice and used her own life — and the lives of everyone around her — to fuel her formidable writing machine, often to the detriment of relationships with close family members and friends. 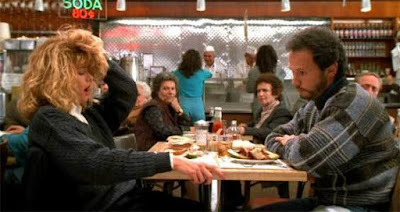 Her first novel, Heartburn, was the thinly disguised bitter and angry story of her divorce from Carl Bernstein. Nora was seven months pregnant with her second child when she discovered Carl was cheating on her. I could tell you the whole story of Nora's life but I don't want to ruin the documentary for you. It's running on HBO Canada and if you can't see it there, I'm pretty sure it's available somewhere. Things always are. I've always known I'd never be a great writer — first of all, I suppose, because I'm not a great writer. But mostly, I think, because there's too much I simply can't write about. I have lived — and I continue to live — a very interesting life. I've known — and I know — fascinating people. I have stories galore circulating around in my brain and I know I'll never write them down. There was a time I thought that after my mother was gone, I'd be free to write whatever I wanted but for me, it doesn't work that way. I know I'm not going to tell certain stories because if I did, there would always be someone who felt betrayed or who would be embarrassed/hurt/ashamed/angry. I don't want people to feel disappointed with me or let down or even surprised at something I've written. So this is really all about me but it's also about everyone else. I realized at some point that the only way I could ever write openly and honestly and without a care is if everyone I've ever known is dead. That's probably not going to happen. As for fiction — which people often ask me about — the answer is no, I could never write fiction. I mean that literally. I honestly could not write fiction. I don't have that fiction-writing gene. That makes it easy because the same personal restrictions would apply: there are things I simply couldn't write, even if it looked as if I'd made them up. Besides, fiction writers are always telling me that their characters run the story anyway. They have to follow where their characters take them. This is like a nightmare to me. I have enough trouble dealing with control issues in real life; I don't need a bunch of fictional characters doing their own thing and dragging me along with them. Which brings me back to Nora. One of the things that Jacob tries to deal with in the doc and one of the things that different people speak of in connection with her death is that she kept her illness secret. Only a very few people knew and when she went into the hospital for the last time, her husband and sister and sons were the only ones with her at the end. For someone who had lived her life according to her Mom's dictum — everything is copy! — this was not only out of character but was, in the view of many people who felt close to her, insulting. Many of her friends were angry that she shut them out of her death. When I watched the documentary, I wasn't looking to compare myself with Nora on any level. I'm way too humble for that. But I understood this final act. In the doc, it was the veteran gossip columnist Liz Smith who said, on being asked why she thought Nora had kept her illness a secret, "She's a control freak!" When you look at Nora's life, her work, her relationships, that seems pretty obvious but maybe no one dared say it while she was still alive. It looks like the other side of the same coin though: she used everything that happened to her and everyone around her throughout her life to control how her story unfolded. At the end, she shut everyone out for the same reason — to control her story and make sure it was told her way. I watched the doc several times and thought it was well done. I've been a fan of NE for years, and at one time, wished I was her. I could have been if I was born in California, a child of her parents, etc. Instead, I was born in NB, the child of my parents. Oh well. I just read her address to the graduating class at Wellesley which was new to me, and still timely. The best thing I ever ate. . .